Publicize play groups, meetings, garage sales, church or civic club fundraisers/events, etc. Recommend, or request recommendations for home repair and other household service providers with whom you have had a positive experience – e.g., roofers, plumbers, lawn services, etc. Chain emails; spam; funny or heartwarming stories; videos; unsolicited advice; possible urban legends; or other types of e-mail that many members may prefer not to receive. Violation of this policy may cause the violator to be removed from our group email list. For advertising and notices of items for sale or rent, please note that these messages can be posted on the “Kingswood Classifieds” section of our website or discussed on our Facebook page. Our group email system is powered by Yahoo!, which is a free social networking service. However, the listserv is not secure, so please use care and do not email personal information to the group, particularly sensitive information such as social security numbers and financial information. Social media has a firm grip on our culture. Kingswood – like so many individuals and organizations – also has a Facebook page. As of this writing, our listserv appears to be our principal means of communication in cyberspace, with relatively little activity on our FB page. But the page is waiting there, poised for future growth. 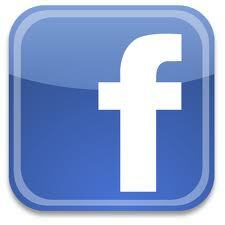 Check out our Facebook page. Who knows: You may be the one who sparks a whole new generation of interest in reaching out among our neighbors by growing this “virtual” gathering place.